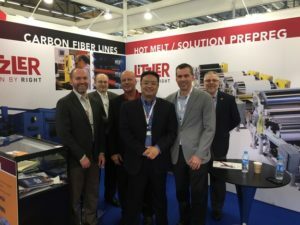 JEC World was a great success! Thank you to everyone who stopped by to talk with Litzler about our Prepreg Equipment and Plasma Oxidation Ovens. We were happy to have our salesman, Lin Feng Shen, from our Shanghai office join us in Paris.